Professor Noemi Petra earned her prestigious NSF CAREER Award thanks in part to support from the CETL. The following article appeared in the October 2017 issue of Merced Monthly, an e-newsletter for the UC Merced campus community and friends. To subscribe, click here. It was only after graduate school, while working as a professor, that James Zimmerman realized something had been missing from his education. Trained as a nuclear scientist, Zimmerman was well-prepared for a life in the laboratory, where success is measured in data and discovery. Though confident in his ability to understand the atom, Zimmerman was less certain of his ability to lead a classroom. That’s because graduate school readied him — as it does with most aspiring academics — for a research career, largely glossing over the fact that teaching is an integral component of academic life. Unsure whether his own instructional efforts were effective, Zimmerman pored through the educational literature to find out. The Technology Enabled Active Learning (TEAL) lab is a high-tech classroom with an unusual layout that’s designed to promote active learning. Zimmerman’s hunt for ways to assess his own teaching grew to be all-consuming. He eventually left the lab to focus on education research full time. This led him to UC Merced, where he now serves as Associate Vice Provost for Teaching and Learning and director of the Center for Engaged Teaching and Learning (CETL). CETL helps the university’s instructors, many of whom are confronted with the same challenges Zimmerman faced years earlier, engage in educational research and implement data-driven approaches to maximize student learning. “The basic premise of CETL is to create a culture on campus where faculty view student learning as a valid object of scholarly inquiry,” Zimmerman said. CETL provides instructors and students with resources that help them identify the best ways to transform the classroom into a space where comprehension, rather than mere delivery of material, is the primary goal. CETL is not in the business of providing generic “tips and tricks” that do little to foster an engaged learning environment. Under the guidance of Associate Director Anali Makoui, they help instructors assess their current classroom strategies and evaluate the usefulness of new approaches. CETL can help instructors gather student-specific data that informs classroom decisions. This is especially important at UC Merced, where 71 percent of students are first-generation and 65 percent grew up in homes that spoke a language other than English. Assembling student demographic information before a course begins allows instructors to target students’ strengths and weaknesses. 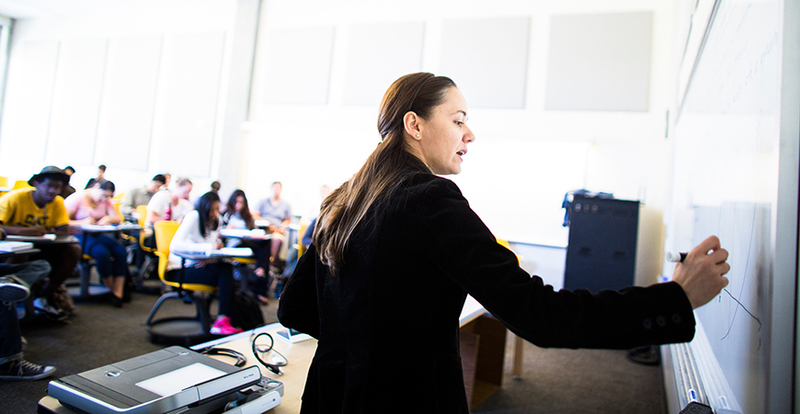 Student input plays a significant role in the development of teaching at UC Merced. CETL assesses student satisfaction throughout the semester, allowing faculty to make mid-term course corrections. CETL even holds workshops to train students on how to complete end-of-semester course evaluations to provide the most useful feedback possible. The information CETL gathers can inform everything from minor corrections, like syllabus rewrites, to large-scale changes like overhauling the curriculum for a whole major. CETL even helps faculty draft grant proposals. Many federally-funded grants, which ostensibly support basic scientific research, require researchers to include an educational outreach component accompanied by a list of ways to assess its effectiveness. Applied Mathematics Professor Noemi Petra credits Signorini and CETL with helping her design the education portion of her application for the National Science Foundation CAREER award. Petra received the grant, the most prestigious the NSF awards to junior faculty, in September. “I was so fortunate when Adriana and CETL came into the picture,” Petra said. But this wasn’t Petra’s first experience with CETL. She’s worked with the center continuously since arriving at UC Merced. When instructors want help figuring out if their instruction is effective, they can turn to us. CETL continues to expand its offerings. One of their newest initiatives is the Faculty Academy on Teaching First-Year Students. 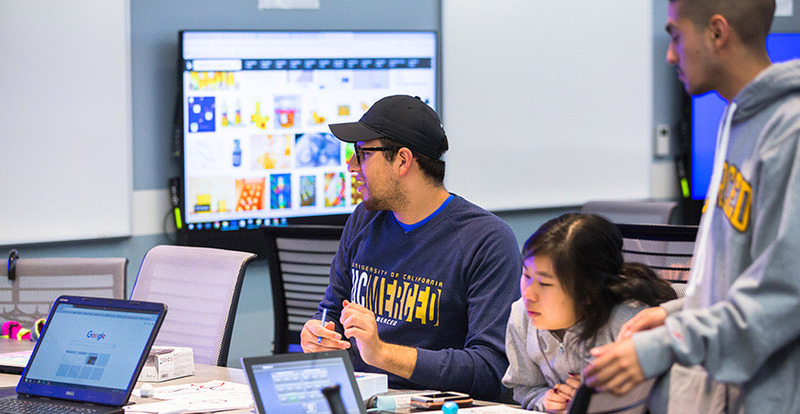 The academy solicits proposals from instructors eager to better engage UC Merced’s unique cohort of first-year students. Somnath Sinha, a lecturer in the School of Natural Sciences, was one of the academy’s inaugural participants. As a member of Calteach, Sinha prepares UC Merced undergraduates to be tomorrow’s K-12 STEM teachers. When Sinha saw a flyer for the academy in Fall 2016, he was intrigued. After participating, much like Petra, he felt the experience was invaluable. Going forward, Zimmerman envisions continued growth for CETL. Though he wants CETL’s English Language Institute to continue studying how students who speak English as a second language adapt to academia, he also wants to encourage the institute to identify communication strategies that encourage classroom participation from ESL students while also noting those that erode trust. Zimmerman also sees educational technology as a top priority. In collaboration with the office of Academic and Emerging Technology (AET), CETL recently launched the campus’s first Technology Enabled Active Learning (TEAL) lab, a high-tech classroom with an unusual layout that’s designed to promote active learning. 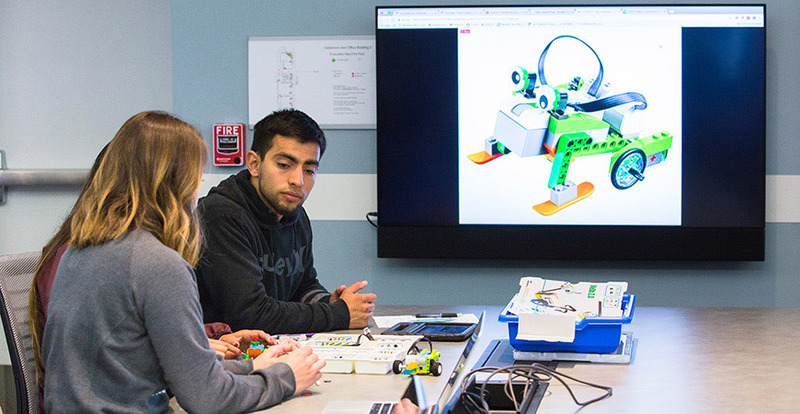 The center is also using funds from the UC Office of the President’s Innovative Learning Technology Initiative to enlist faculty to help determine which courses work best in an online environment versus those that require in-person participation. And as the campus grows through the Merced 2020 Project, Zimmerman also wants to make it easier for faculty to access CETL’s many resources.